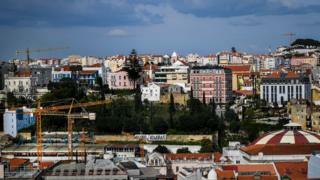 "We would lose 30% of our business if golden visas are scrapped," says the Lisbon property developer. The visas Mr Vicente is referring to are given out by Portugal's Residence Permit for Investment Activity scheme. A total of 6,416 people (60% of whom are Chinese nationals) have now successfully applied for one of the so-called golden visas, with the vast majority - 6,064 or 95% - going for the property option. And with Portugal just one of many countries with golden visa schemes, what is the current situation regarding the UK's equivalent initiative? The criticism of Portugal's scheme is being led by the Left Bloc political party, which is part of the unofficial coalition supporting the minority Socialist government. As a result, it has produced a draft law that proposes the elimination of golden visas. The document argues that they are a gateway to "corrupt practices, influence peddling, embezzlement and money laundering, among other fiscal and criminal illegalities". Left Bloc MP Jose Manuel Pureza says: "We need foreign investment, but not at any cost. "We need investment that creates jobs, that is not associated with corruption, and investment that does not discriminate between wealthy immigrants and the rest." Back at Pedro Vicente's office in Lisbon, he is concerned about the Left Bloc's proposal. His company is preparing to cut the ribbon on a new sold-out 55-apartment luxury residential project in downtown Lisbon, where "around 40% of the acquisitions were made by golden visa buyers". Luis Lima, general secretary of Portugal's largest estate agency association, APEMIP, says "the much-needed renovation of Lisbon and Porto [in recent years] was made due to golden visa investment". He adds that in the absence of locally available capital, the golden visa scheme had generated thousands of jobs, ranging from construction workers to cleaning services. "Without golden visas the construction industry would have collapsed," says Mr Lima. 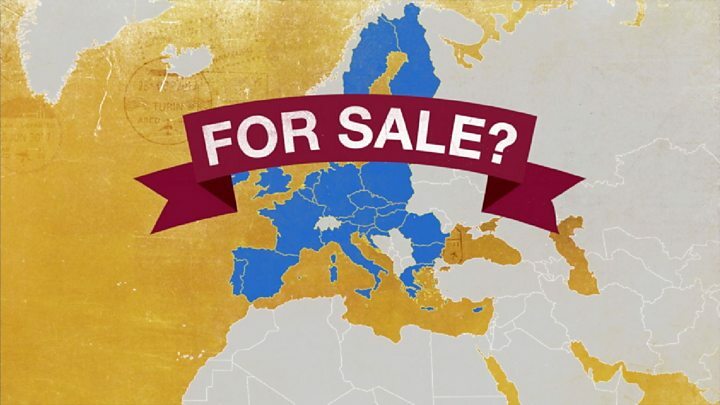 He says that while only a tiny number of new businesses were created, foreign investors have paid Portuguese property owners "millions of euros" that have probably been reinvested domestically, creating thousands of jobs, or saving existing businesses from the brink. Whether the Portuguese government supports the Left Bloc's draft law remains to be seen. It declined to comment. "In Portugal's case, its golden visa scheme - as a short-term fix - had something going for it," says Prof Morgan. "The country's property market was stagnant back in 2012, and it has given it a huge boost. "However, there are now signs that the market is overheated, and concerns that there wasn't proper due diligence over who got a visa." The UK's version of Portugal's golden visa scheme is officially called a Tier 1 (Investor) visa. It differs in one significant way, in that applicants cannot invest in the UK property market. Also, the minimum investment is £2m, more than four times higher. Prof Morgan says that unlike the situation in Portugal, the UK golden visa scheme is "chicken feed" to the British economy. "In the scheme of things it is tiny," he adds. "The UK instead gets most of its inward investment from companies, such as overseas firms building manufacturing facilities or making other investments. "It is the UK's flexible labour market, good corporate governance, low corporation tax, and London's position as a global financial centre par excellence that attracts our inward investment. And I don't see Brexit changing that too much." "So if I was the UK government I'd be tempted to raise the price of the golden visas."